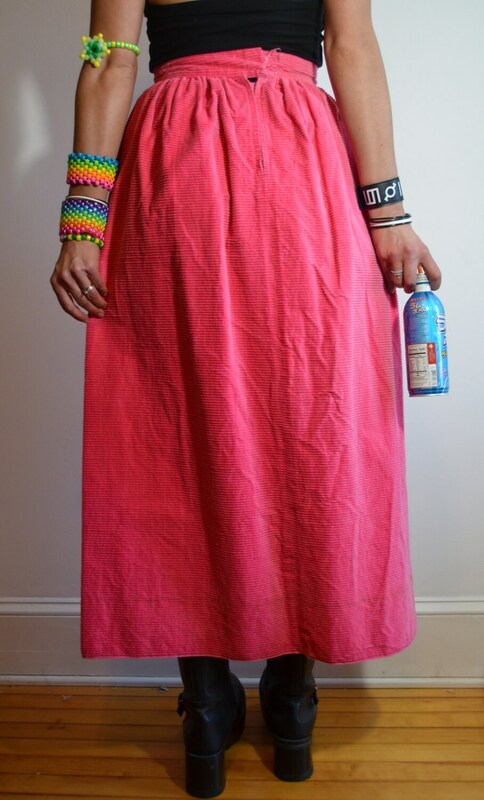 One of a Kind Bright Hot Pink True Vintage Fashion Maxi Skirt made with Corduroy on the Horizontal! A Very Unique Piece! Size Petite Tall *Check Measurements for Best Fit! 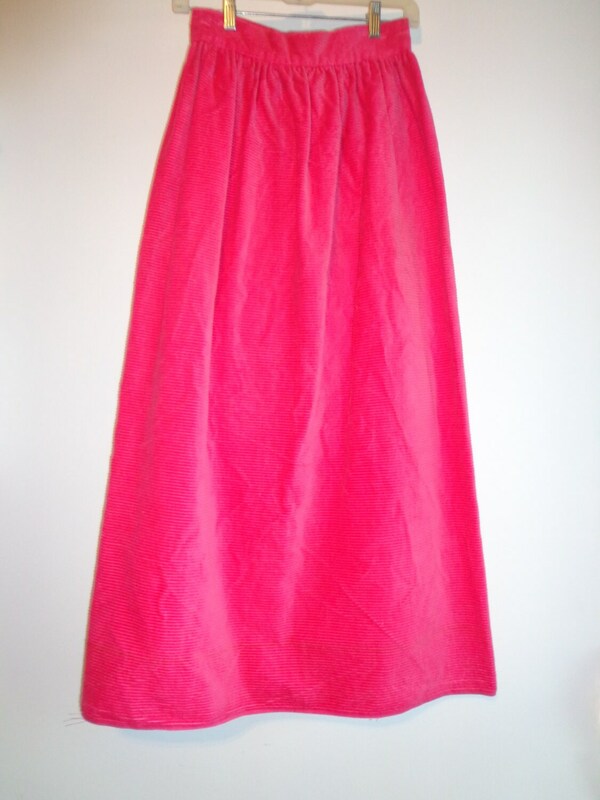 Skirt Fullness Width Across - 27"